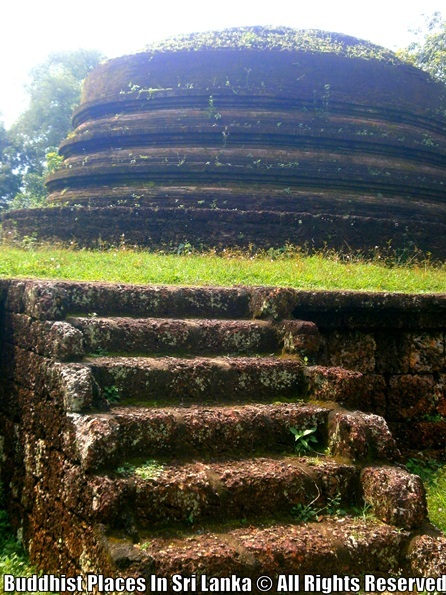 There are two small scale stupas with 30 and 24 feet diameters and three base rings for each, which have built on a rectangular shape stage, located in this place. 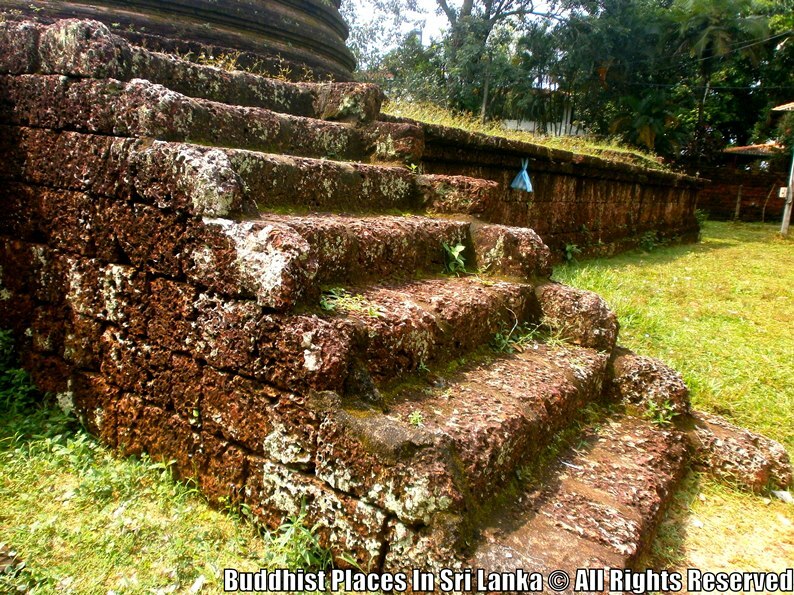 On the North and West from the stage, there are two steps made from laterites and on the stage, there is an evidence that seems like a base of a shrine room. 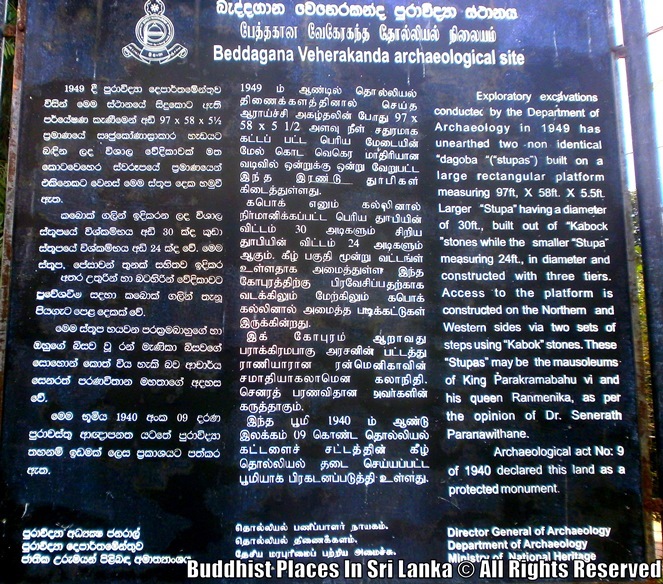 Furthermore, this place has many assumptions. 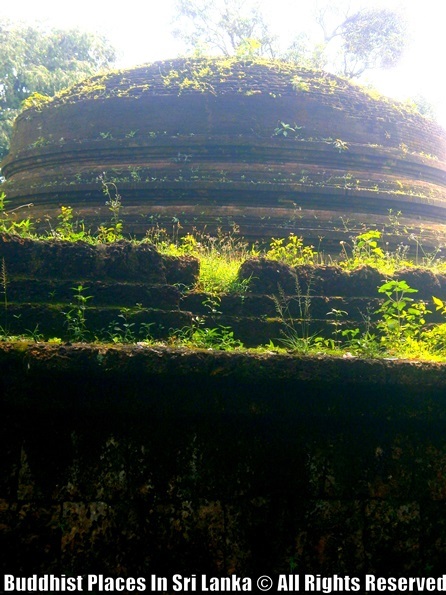 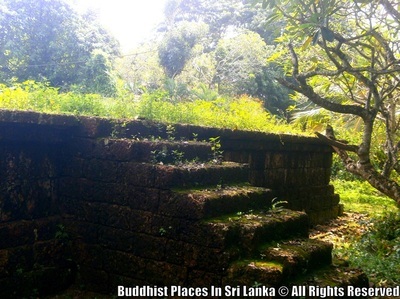 Many people claim these ruins were parts of an ancient Buddhist Temple. 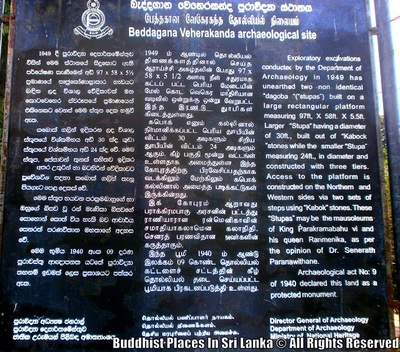 On the other hand, some people claim these were ancient ruins of Katharagama Devalaya. 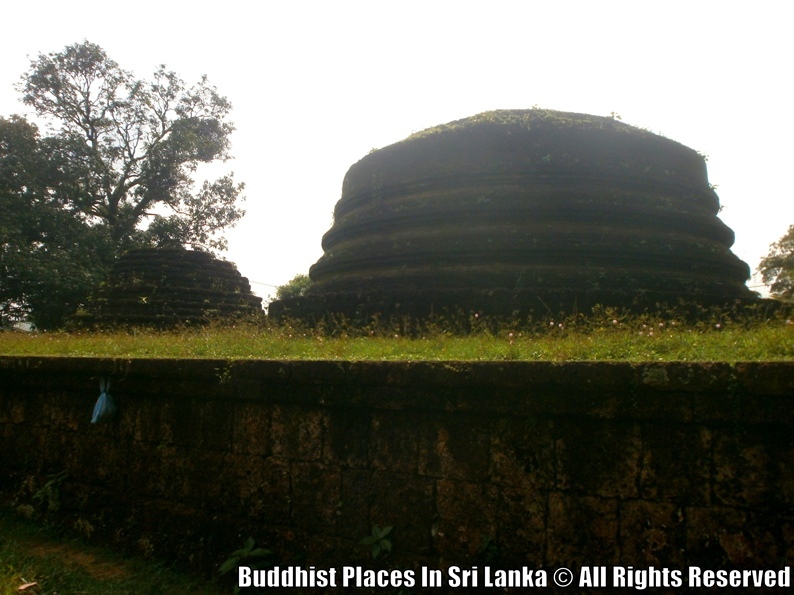 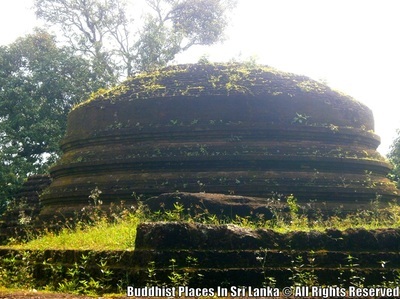 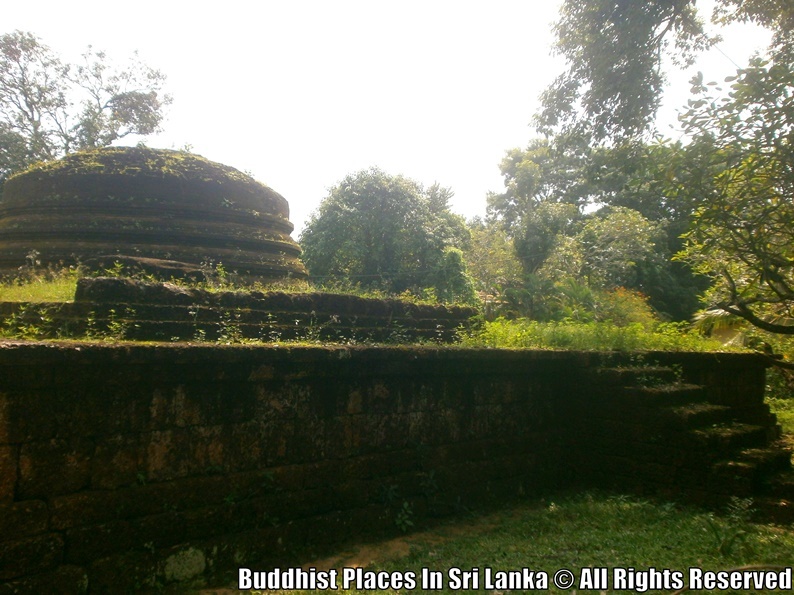 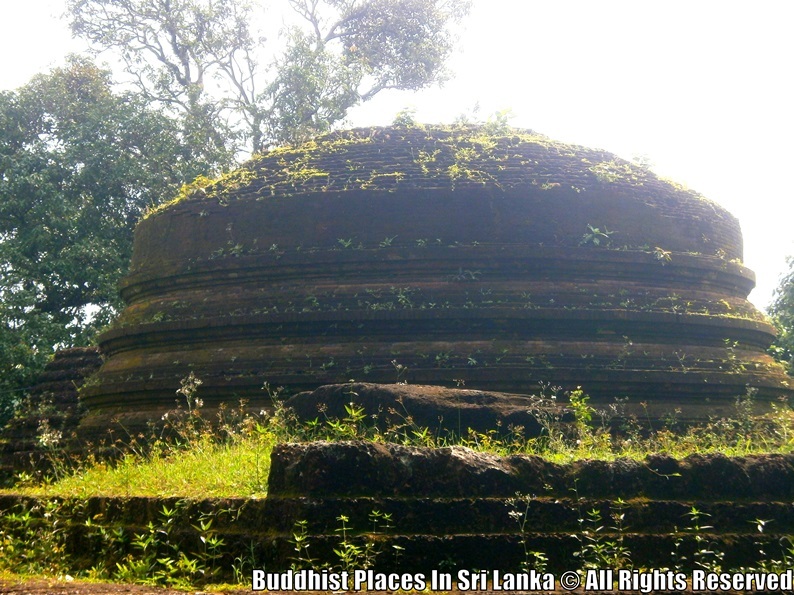 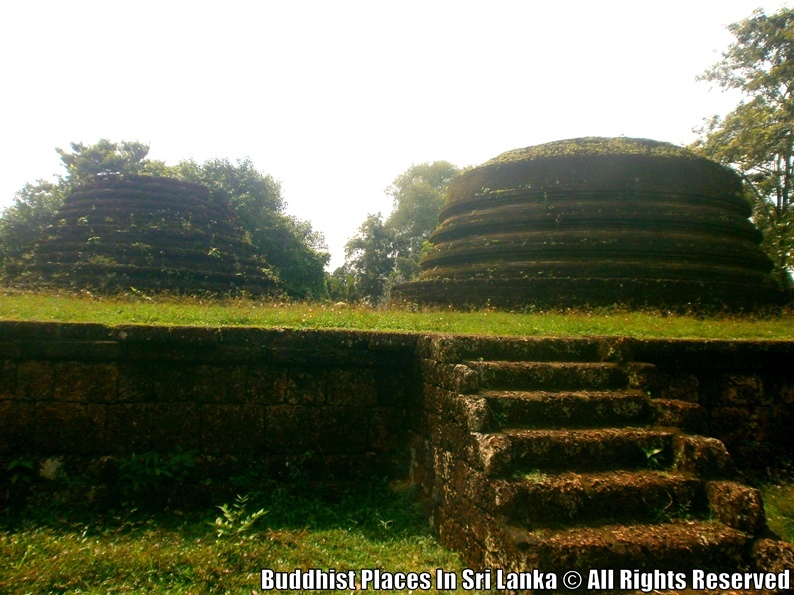 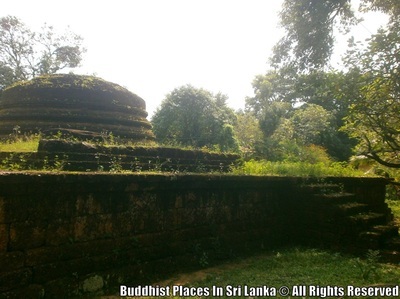 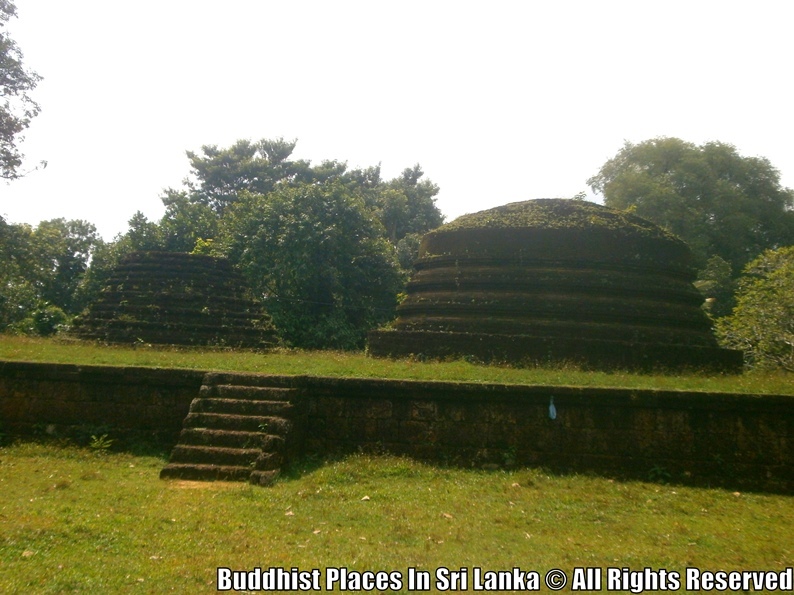 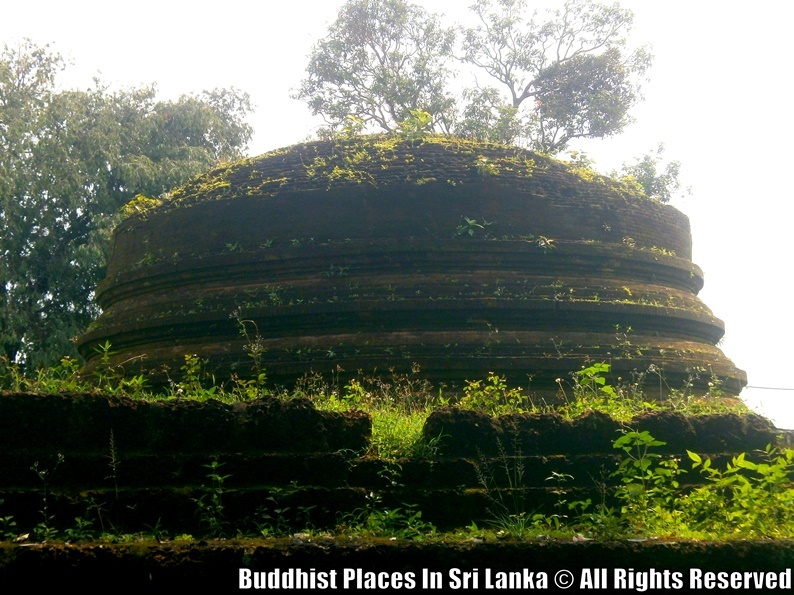 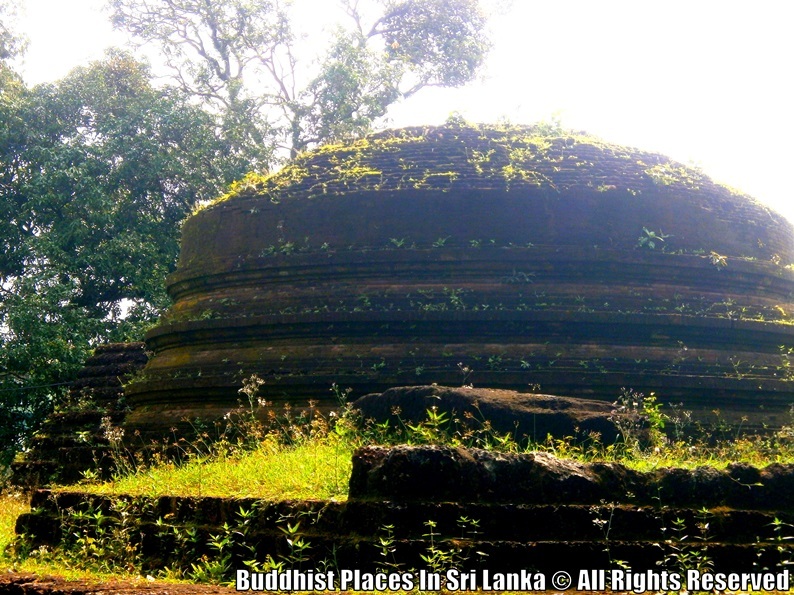 But according to archaeologist Mr. Senerath Paranawitharana, these ruins were tombstones of king Parakramabhahu VI and his queen Ran Manika (Region:1412–1467 AD). 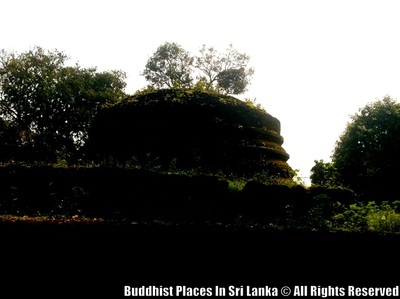 The subjugation of the maritime provinces by the Portuguese in the latter part of the 17th century and consequent loss of royal patronage, dealt a severe blow to Buddhism. 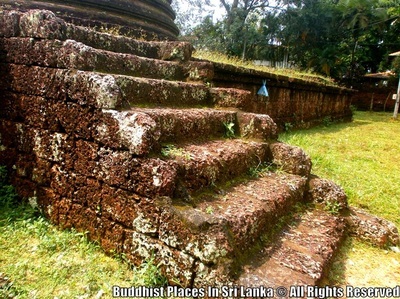 As a result many places of worship were neglected. However this place seems to have fallen on especially hard times, was abandoned and covered by a dense thicket.